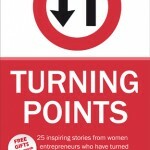 The following is a guest post from my lovely friend and fellow co-author of Turning Points: 25 Inspiring Stories From Women Entrepreneurs Who Have Turned Their Careers and Their Lives Around (Kate Cobb, editor, Summertime Publishing, 2011), Sarah Koblow. 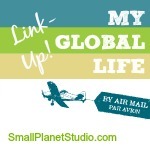 Sarah lives with her family in Doha, Qatar and blogs at Count Only Sunny Hours. You can catch me guesting over on her site today. This week my dear writing friend Linda and I can confidently declare that we are officially WRITERS. We are now in different parts of the world, she is in The Hague and I am in Doha, Qatar. Yet, we each hold in our hands copies of the book we helped write in Holland. Turning Points was officially published yesterday and is available now on Amazon, a tangible example of how quickly dreams can become real. Just this time last year we had not even met. My writing dreams were just that, a dream. A tiny spark in my soul smothered by those critical voices ‘What, you a writer? Never! You have got to be kidding! Who would want to read your ramblings anyway?’ Always delivered in a scathing Yorkshire accent, which is where I am originally from. In Yorkshire they put you down before you fall down with pride, believing they are doing you a favour by ‘avoiding occasions for sin’. 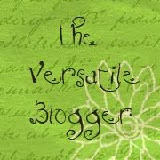 I met Linda at a workshop in The Hague last January, my first writing course. I was in the middle of a dark night of the soul that had lasted months. All the furies seemed to be conspiring against me and threatening to wipe me out, well at least my marriage, health and financial security. Due to the economic downturn, my husband had almost lost his job three times in a year. As I am an accompanying spouse I had been unable to go out to work for several year due to frequent international moves, so this threatened not only my income and home, but also schooling for my three kids and residency in the country we had come to love. I survived cancer several years ago but a number of potentially serious health issues continued to bubble up in the stress. Worst of all, my gentle, kind, sensitive daughter was being bullied at the school whose appalling handling of the situation had made things worse. The parents of the child with aggressive behaviours were publically harassing us at a time when my husband was on the other side of the world, desperately trying to save his job. Reaching the end, I peeked over the top of the page, seriously expecting to be pelted with tomatoes. That group of wonderful, writing women will never know how much healing I experienced in their acceptance and lovingly constructive feedback. Linda saved her best till last when she read for us that same morning a piece that would be part of her first draft. 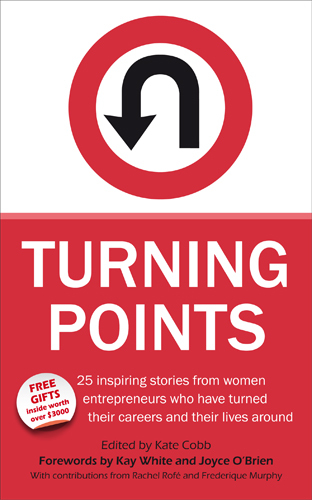 Her Turning Points story is dramatically different from mine, an historic as well as personal epic. Yet our journey has been similar as, having shared in our group, we were then inspired to share our writing with our families and friends and then the world. Nobody laughed at us, nobody ridiculed us but many cried as we used our pain and joy to help bring hope to others who are struggling. It was no coincidence that we were placed together at this time or that together we embraced our writing destiny. God-incidents I call them. His weaving magic, or Her, whichever you prefer. The opportunity to write for Turning Points came along at an impossible time for me. Yet I knew this was a divine appointment to use my talents to help and inspire others as well as feed the hungry. I also wondered how on earth I could possibly manage to write in the middle of yet another international move at the same time as being a single parent as my husband went ahead of us? I felt the fear and did it anyway and received my copies of Turning Points in Qatar, less than two months into our latest income saving relocation. That night I went along to a youth group I help lead with a bounce in my step and a copy of my book secreted in my handbook. I had been dreaming all day about how I was going to celebrate being rich and famous, having sold my first book. During the session, a twelve year old boy shared his passion to build houses for homeless families in Peru and his frustration at how limited his opportunities are to raise money. He can’t work and it will take him a long time to save and earn six thousand Qatari riyals (10 riyals = 2.7 US dollars = 1.9 Euros). He decided to do his best anyway and was asking the group to sponsor him for baseball runs, his other passion. I had the riyals from my first book sale in my purse so gave him a helping hand agreeing to match him riyal for riyal. That spark lit a fire as an idea quickly exploded like a firework among the pre-teens. A mountain for one became several very small hills for the many. With thirty children and sponsors, we will only have to raise 200 QR each to build a fully furnished house. I am pledging every QR I earn though sales of Turning Points to help these inspired twelve and eleven-year-olds make dreams of a home become real for families in far off Peru. I am also officially out of the closet on two counts; I am a Writer and a God fan. I just love how he weaves us all together for the greater good. Corrie Ten Boom, an Auschwitz survivor who lived in Haarlem, Holland, hung a tapestry on her wall many years ago which is still there in her home turned museum, where many Jews were sheltered and saved. The embroidery is a tangled web of knots and stray threads with over worked stitches. Not a pretty picture. ‘Why is it the wrong way up?’ my son asked when we visited one cold winter Saturday. I showed him how when you turn over Corrie’s tapestry mess, you get a very different perspective. On the other side of the tangles and knots is a beautiful golden crown. Teamwork, you achieve so much more together. Support, genuine, loving but constructive. Small steps, at least at first. Listen to your spirit and soul, not your just feelings. Find your passion and use it for the greater good. Great post Sarah. And I can relate to the whole pride/fall thing you describe…in Australia we called it the Tall Poppy syndrome! Congrats on being brave and reaching out for what your heart desires. And, you know, Sarah, the braver you get and the further you stray from that closet, the better your writing gets! Go girl! I’m absorbing all this strength and guidance as I finally start to listen to my “Writing Voice” that has been ignored for years! Thank you and keep going, and I will too! This sounds like a great book–partly because as you learned there are people out there who need to hear other people’s stories in order to help them grow and find their own turning points. Good luck with it! And you’re right–God or whatever, there is something weaving us all together. When everyone finally accepts that and uses it to our mutual advantage everything happens so much more easily! Bravo Sarah, I well remember that first public reading and the joy of watching you blossom and grow and now this. Go girl and keep going!